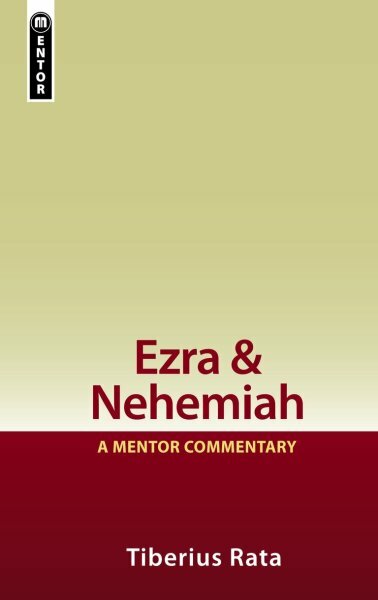 Through the fascinating Old Testament books of Ezra and Nehemiah you will discover a God who is in control of history and the hearts of his people. It is a real encouragement to be reminded how Yahweh can even work through the lives of secular leaders, just as he did with the Persian Kings, Cyrus and Artaxerxes. A native of Romania, Tiberius Rata is the chair of the Biblical Studies Department and professor of Old Testament Studies at Grace College and Theological Seminary, Winona Lake, Indiana. He is a member of the Evangelical Theological Society and the Institute for Biblical Research and has presented papers at the national conventions of the Evangelical Theological Society. He is married to Carmen and they have two sons.